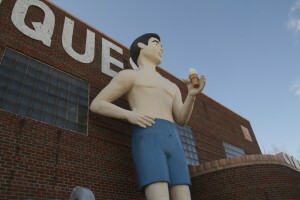 Closer to the actual building is A huge fiberglass man holding an ice cream cone. 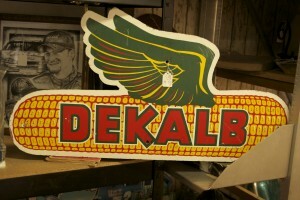 -Love the Dekalb corn sign! Well, this is about as good as it gets! 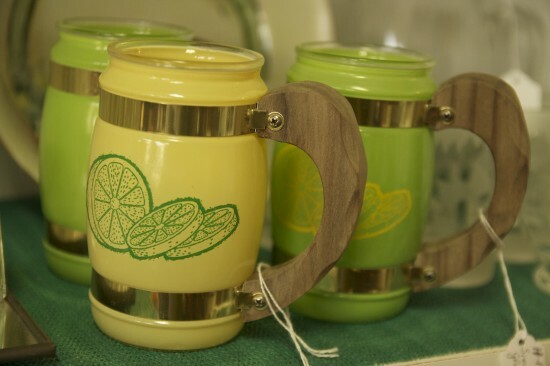 Needless to say, a trip to the cornfield in southern Illinois is a kitsch lover’s dream. I was sweating enough when I looked at the elephant and scrolling down the page I was ready to book my ticket. Seriously hard to single anything out as the most spectacular but is the UFO building an office, a home, or just a tourist attraction? 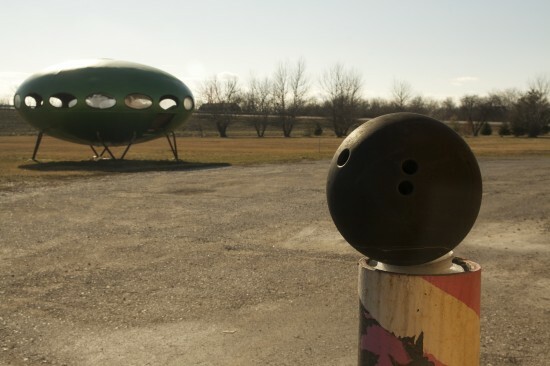 As someone who has hundreds of (real) bowling balls as garden fixtures and lives in an historic Art Deco home I never thought I would be jealous of another bowling ball/incredible structure combo. But you have done it! 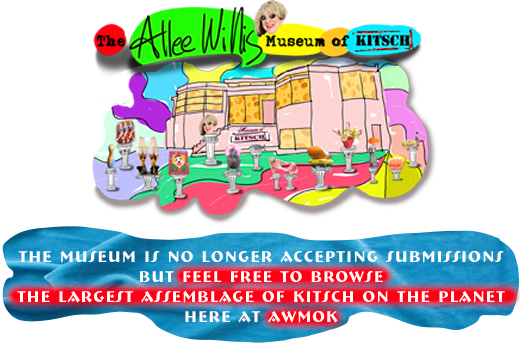 Now what other treasures are in your neighborhood? Thanks for the cheese Allee! Sadly not being used as an office. Not too many treasures out here I’m afraid. I’ll keep my eyes peeled! Oh man, I’d love to stick it on top of my car and haul it back here to LA! It would match my house perfectly! Hey guys, the UFO building is actually a house designed by the finnish GENIUS MAtti Suurone… They were called Futuro houses and there were very,very few made….people still hunt them down and try to restore them…a lot of them deteriorated as they were left outdoors in rustic areas and abandoned…so heartbreaking…there are some incredible ones out there though..and i think a book was done on them some years ago….this is my dream house…i’d seriously go nuts to get my hands on one of these and restore it fully..and of course, live in it!!! 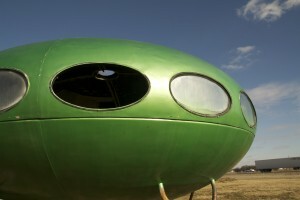 Google Futuro HOuse!!!! That’s Amazing! thanks for the info! 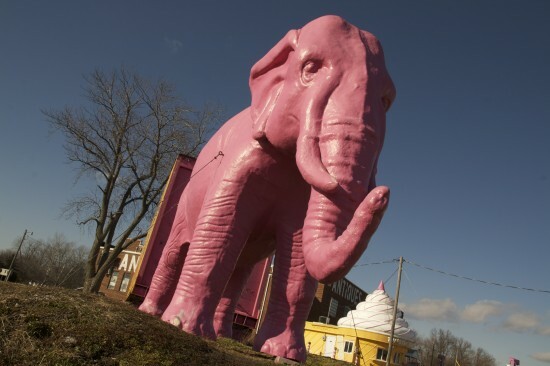 and the elephant is gorgeous…i’d put that in my front yard immediately!